China Miéville’s 2008 sci-fi novel, The City and The City, has been adapted for television by the BBC. 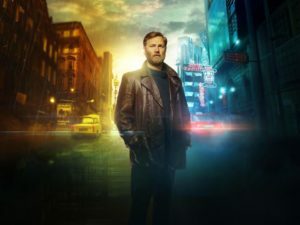 The series will consist of four episodes and will star David Morrissey (The Walking Dead, Britannia) as Tyador Borlú, an inspector with the Extreme Crime Squad in one of the two cities of the series. Miéville is known for his extraordinary work in various genres such as the fantasy Bas Lag series (Perdido Street Station, The Scar, Iron Council), and stand-alone novels such as Kraken, Railsea, and Embassytown. Don’t miss The City and The City as it premieres on BBC Two on April 6.